Flexible sanders with new angled end. 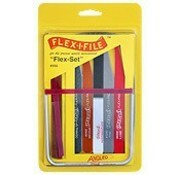 Available in handy 1/2 x 6" sizes. Includes Flex-I-File with an assortment of tapes and Flex-Pads. 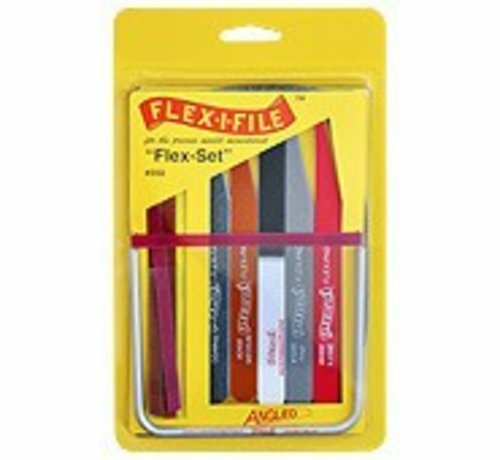 #550 Flex-Set "Complete Finishing Set"